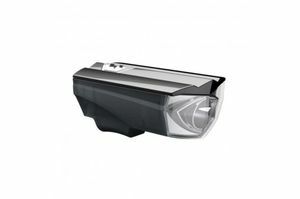 This page contains a list of all Headlights in the Bike Light Database. 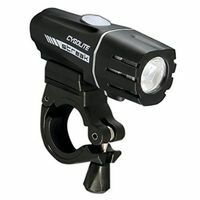 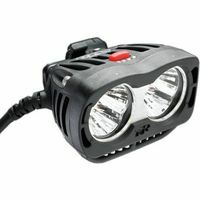 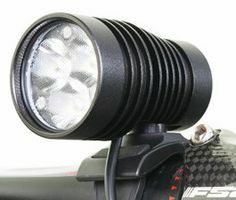 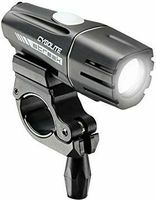 Specific recommendations are frequently updated on the Best Bike Headlights page. 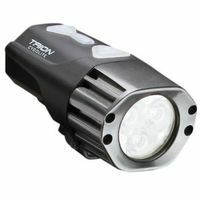 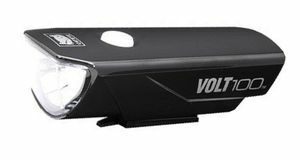 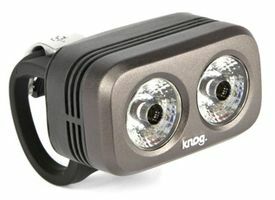 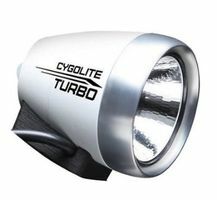 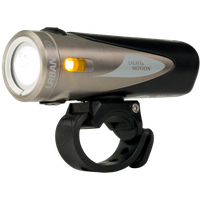 Compact, rechargeable lithium ion headlight with an LED fuel gauge/charging indicator. 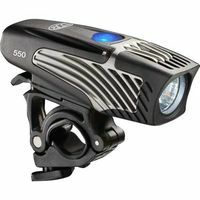 This Vis 360+ is specifically designed for use on a helmet, and integrates a 250 lumen headlight with amber side-visibility lights and a red taillight. 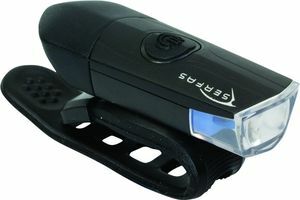 The USB rechargeable battery is built in to the taillight fixture. 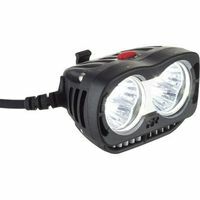 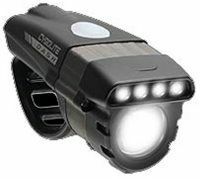 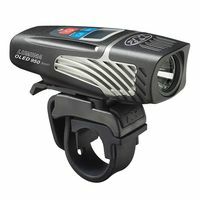 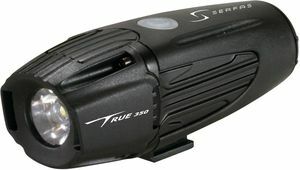 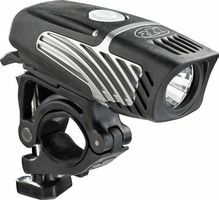 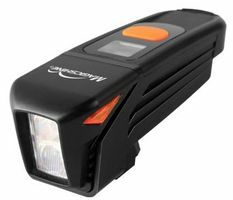 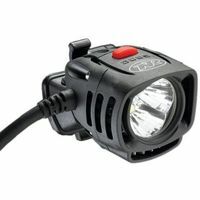 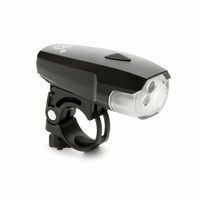 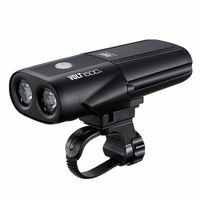 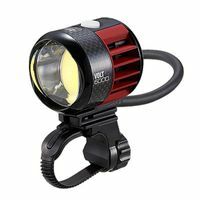 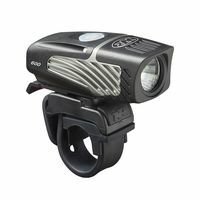 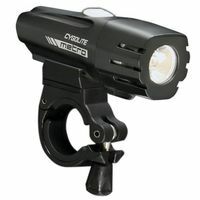 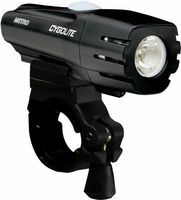 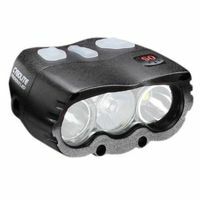 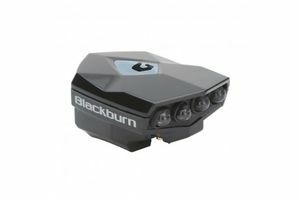 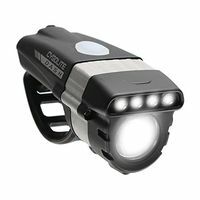 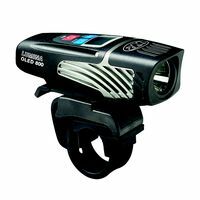 This Vis 360 is specifically designed for use on a helmet, and integrates a 120 lumen headlight with amber side-visibility lights and a red taillight. 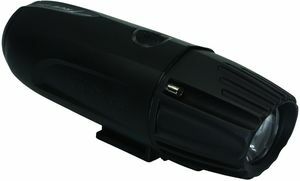 The USB rechargeable battery is built in to the taillight fixture. 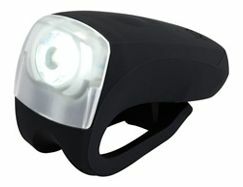 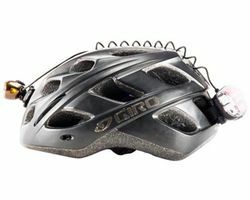 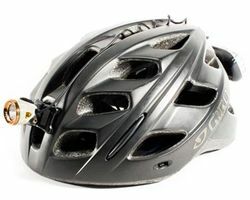 The Vis 360 Run, released in 2014, is functionally identical but includes a headband strap instead of helmet fixtures, for use as a headlamp or running light. 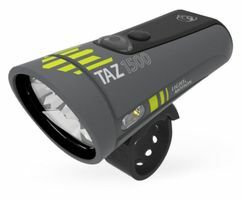 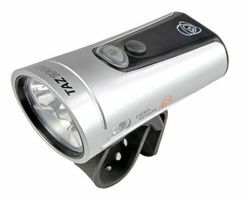 Released in July 2014, the Taz 1500 is nearly identical to its predecessors, the Taz 1000 and 1200. 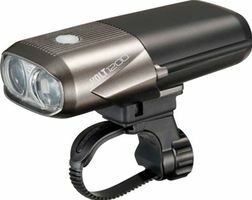 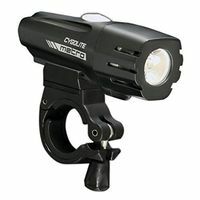 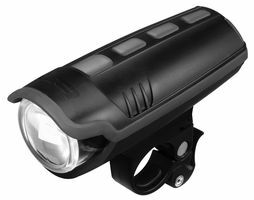 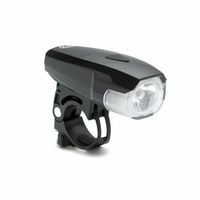 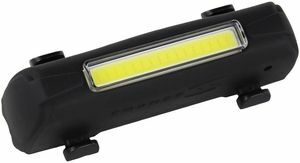 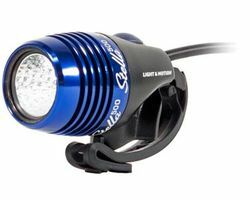 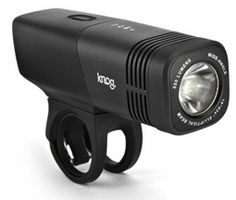 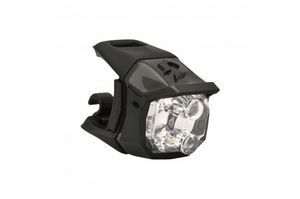 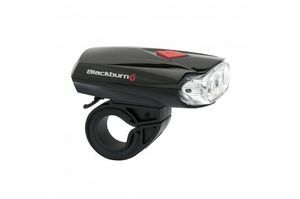 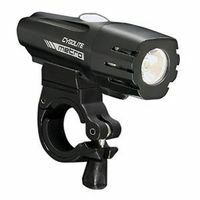 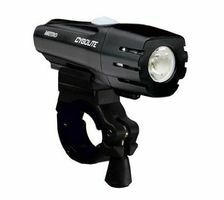 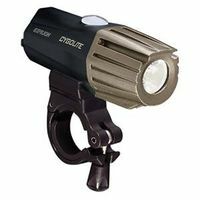 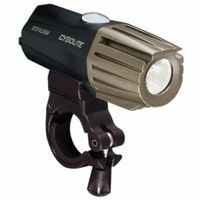 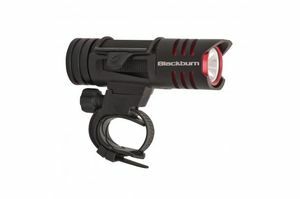 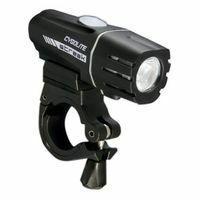 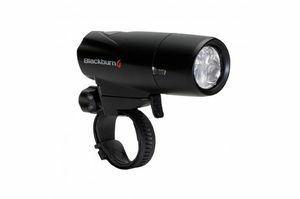 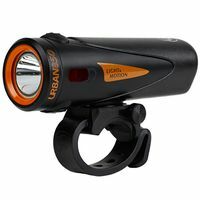 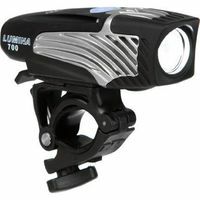 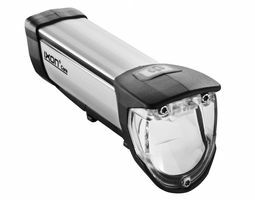 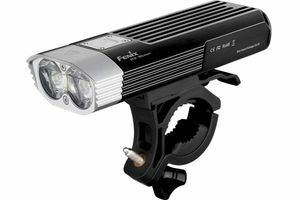 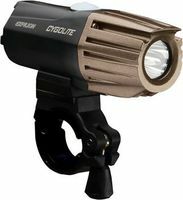 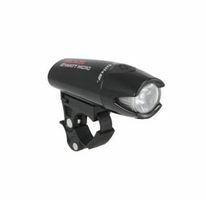 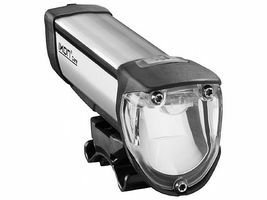 Featuring optics that create a very even beam, the light has a combination of long-distance spot and close-up flood light that works well for riding on any terrain. 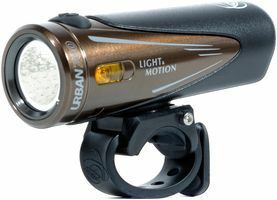 The light also includes amber side-visibility LEDs that can be independently switched on and off for improved safety. 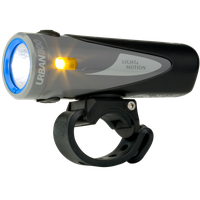 The Urban 2.0 series was released in July 2014. 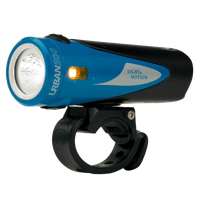 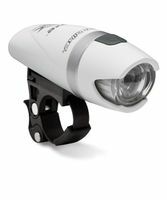 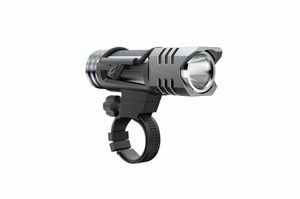 Major new features include IP67 waterproof certification, pulsing flash mode, and peened reflectors to distribute the beam. 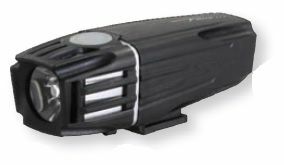 The Urban 800 FC contains circuitry for high-speed charging with a 2A USB charger (like the type used for tablets). 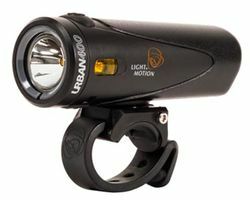 All other features are identical to the Urban 800. 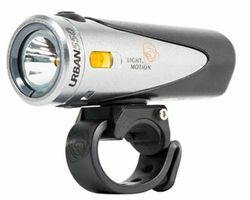 Note: A previous version of the Urban 500 was sold in L&M's 2011 product line. 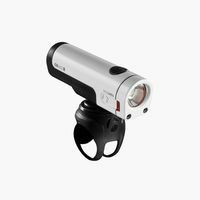 This newer version has various differences, including the optics design, button lockout, waterproof rating, etc. 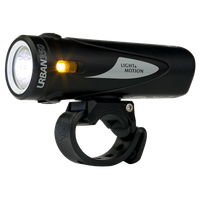 The old Urban 500 was known to have some issues with water ingress. 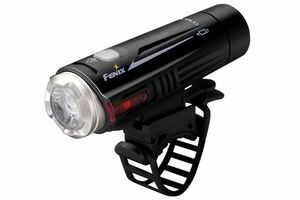 When purchasing, especially online, make sure to purchase the 2014 version. 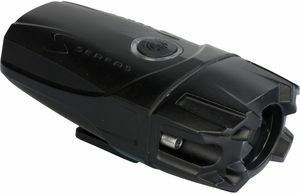 The 2014 versions are available in bright green and blue options, while the older version was grey. 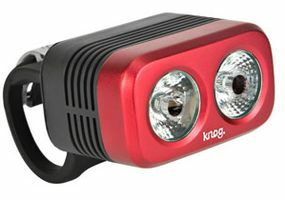 The Lightning Bug 3.0 is the 3-LED version of the series. 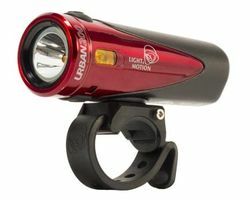 We have not tested it in person, but it appears to be a fairly small light powered by CR2450 batteries, and with only three small LEDs it likely won't be bright enough for frequent night riding. 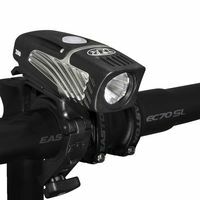 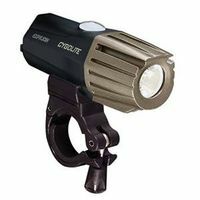 Brighter entry-level lights are available for a similar price. 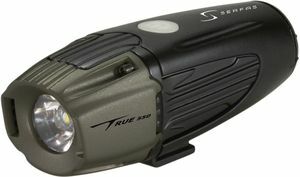 The Lightning Bug 2.0 is the 2-LED version of the series. 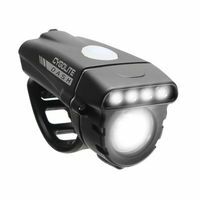 We have not tested it in person, but it appears to be a fairly small light powered by CR2032 batteries, and with only two small LEDs it likely won't be bright enough for frequent night riding. 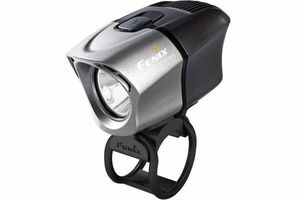 Brighter entry-level lights are available for a similar price. 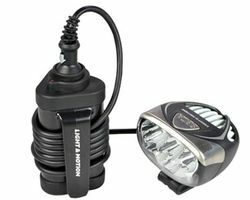 The Lightning Bug 1.0 is the 1-LED version of the series. 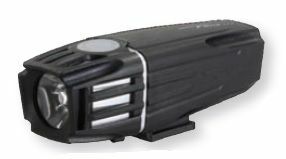 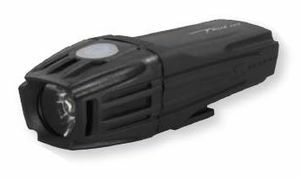 We have not tested it in person, but it appears to be a fairly small light powered by CR2032 batteries, and with only a single LED it likely won't be bright enough for anything but being caught out after dark in an emergency. 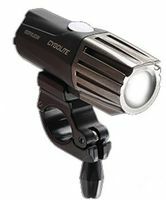 Many brighter lights are available for a similar price. 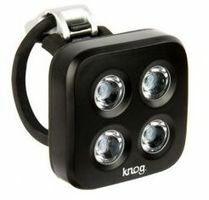 Battery life ranges from 1:15-34:00 hours, depending on the brightness level. 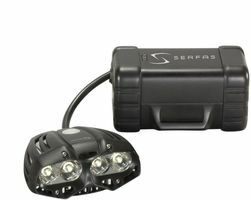 Features an eight-step fuel gauge to indicate battery charge level. 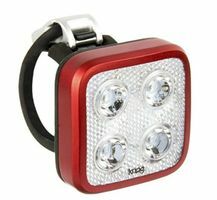 Battery life ranges from 1:30-25:00 hours, depending on brightness level. 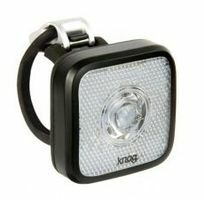 This light features four brightness levels and three flash patterns. 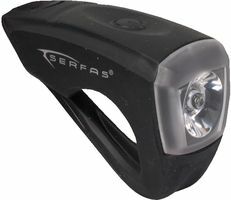 The Orfos Flare is a bright be-seen light designed for 360° visibility. 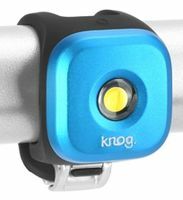 It is currently being produced via a KickStarter campaign, and should be available in December 2014. 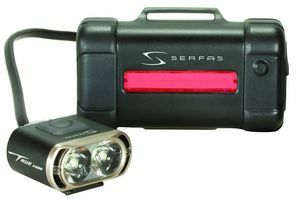 The SL100 series front and back lights are semi-permanently mounted to the hub axle. 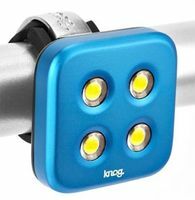 Magnets attach to the wheel and induce an electric charge in the light. 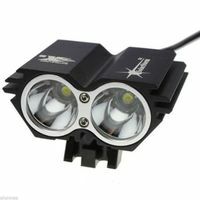 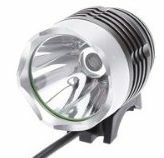 These are small, 1 or 2 LED lights that are primarily designed for visibility. 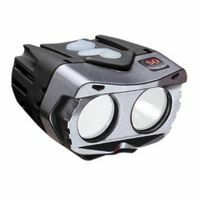 The low-down position may inhibit visibility from a distance. 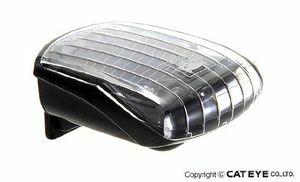 The lights are only available in a front-back pair. 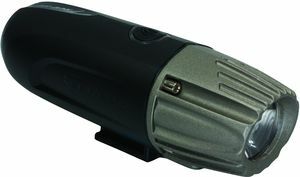 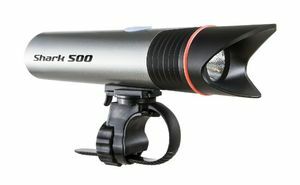 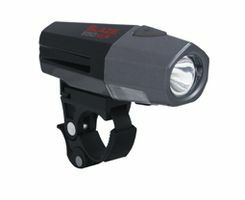 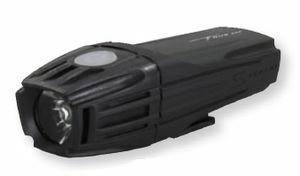 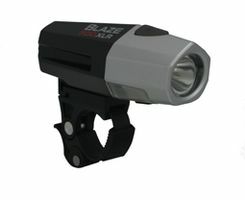 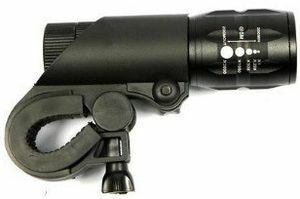 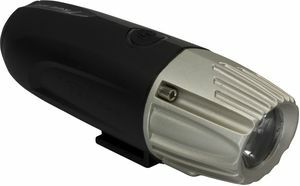 The SL150 version is configured for steady burn only, and does not have a flashing option. 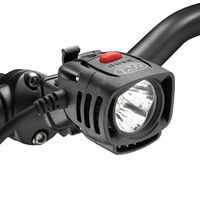 The light does not stay on after the bike stops. 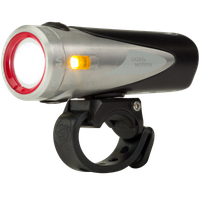 The SL 120 version is configured to flash, and can stay running for up to 2 minutes after the bike stops moving. 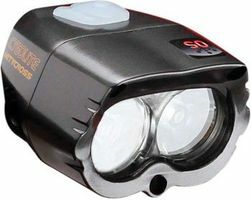 The SL-100 version is configured only for flashing mode. 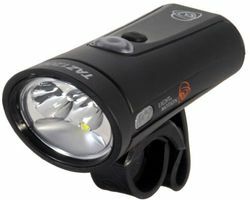 The SL250 version only has a steady burn mode; it does not flash. 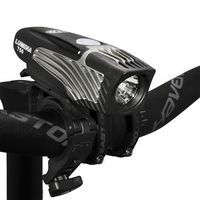 The light does not keep running after the bike has stopped moving. 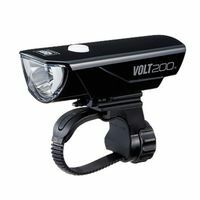 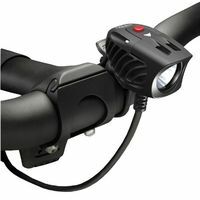 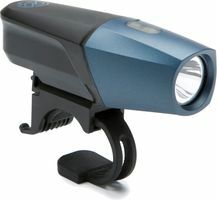 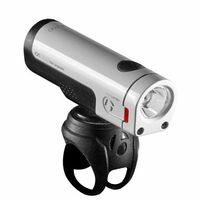 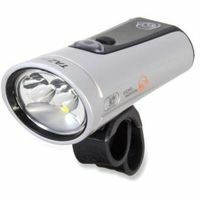 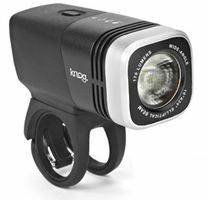 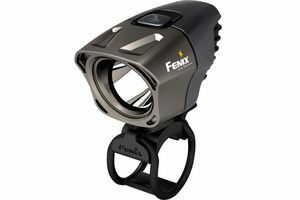 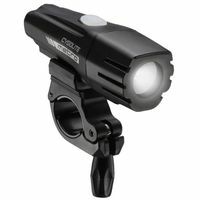 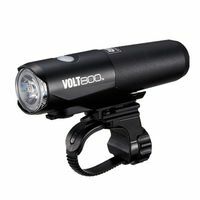 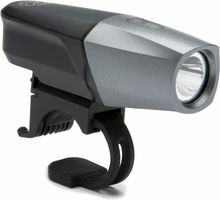 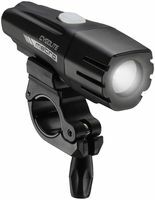 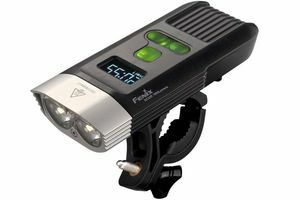 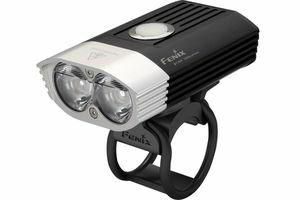 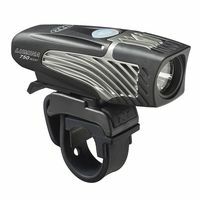 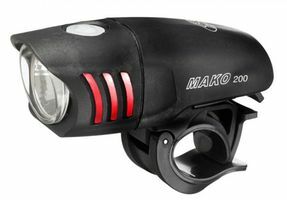 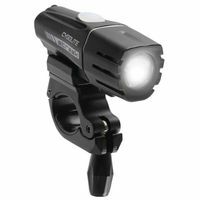 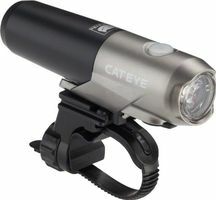 The 620 version has a flash mode only, and continues flashing for up to 2 minutes after the bike stops. 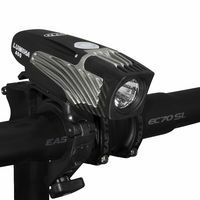 The RL770 headlight is available only in a combo with the RL770 or RL771 taillight. 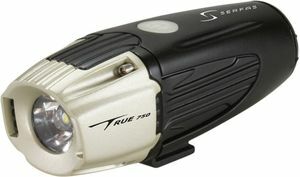 The price displayed is for the combo set. 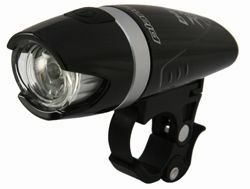 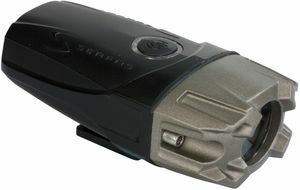 The headlight is available in steady burn mode only. 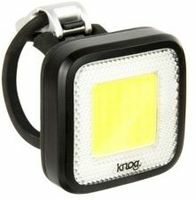 This solar-rechargeable light has a built-in solar cell that charges in 2 hours under good weather conditions and can power the light for up to 5 hours. 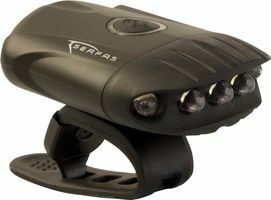 The light turns on automatically when darkness and motion are detected.